There is an amazing visual over at Business Insider on what traffic congestion will look like over the next 20 years and I’m freaked out! 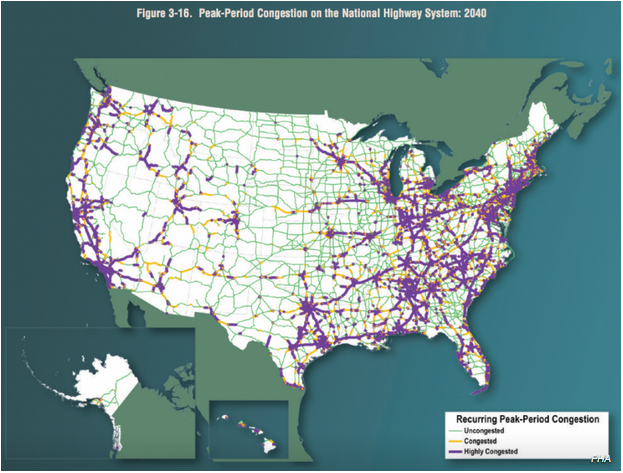 You can download the juicy report from the Department of Transportation for your evening reading, but I clipped two images for you. 2007 and what can we expect in 2040. I’m bummed and moving to the country side. Ask me how I can help you get more out of your data. Always here to help.